Haha I love how you explained the photos 😉 I think all the photos look great, and, a little bit different from each other. I LOVE artichokes, they are so yummy! I’ve never had them grilled before. Hahaha, I totally do the same thing with pictures! Why is it that sometimes you can get the money shot on the first try, where other times it takes hours? 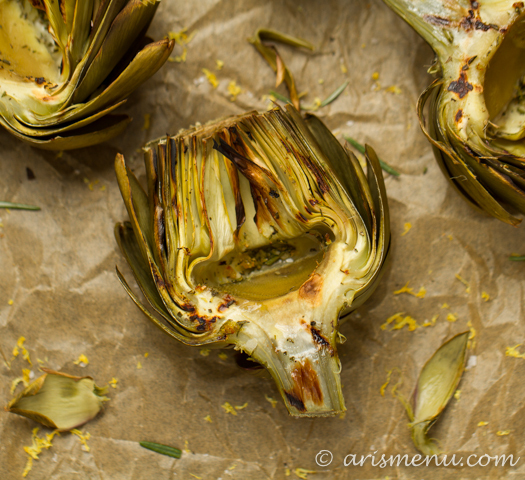 These pictures look awesome and I am so in love with artichoke hearts- grilling them is a fantastic idea! 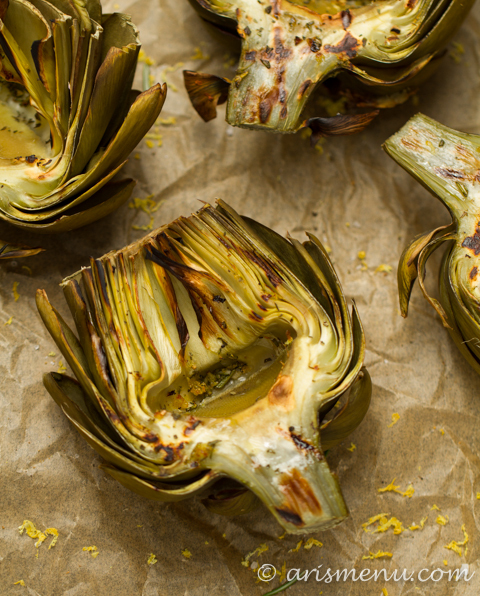 I die for grilled artichokes. DIEEEE !!!!! I am obsessed 🙂 and they’re so very healthy! I LOVE these pictures, the artichokes look so crazy and wild! 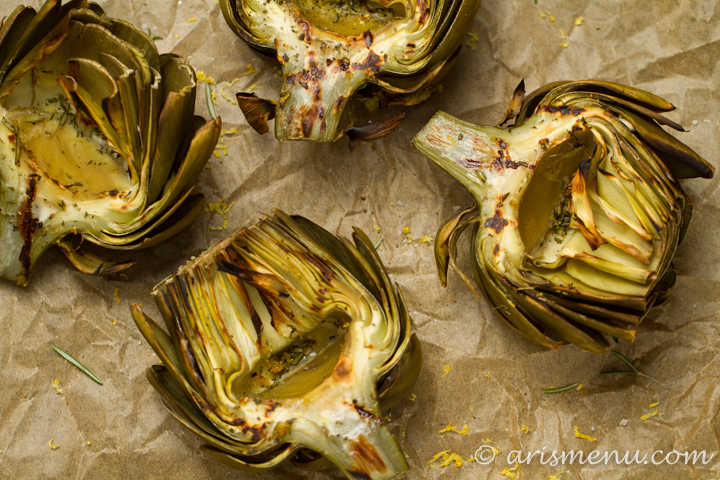 I love grilled artichokes! I haven’t made them in so long. WAY too long. I’m so glad you reminded me to change that because they are truly one of my favorites. And there is no way around changing up the photos – I still think they look amazing! Ok, how freaking amazing are these?!!! 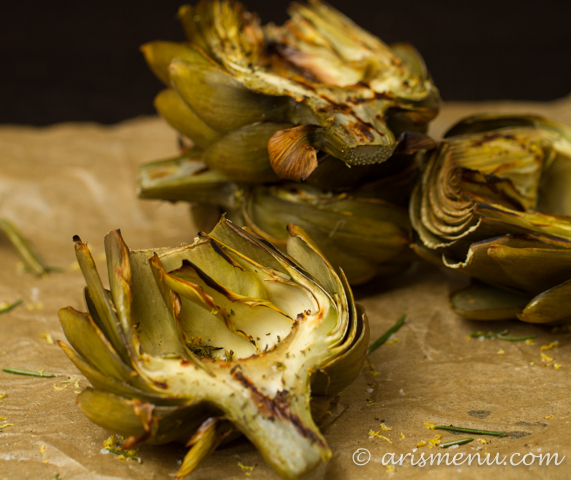 Great photos of artichoke! And yes all those photos look very different. And yes, an inch makes a big difference in a photo! 🙂 You’re so funny!!! I have never ever bought an artichoke. I’m inspired! Haha, the photos do look similar, but they’re all really great photos. I love the colors you used in the background, they really compliment the artichokes, which also look delicious! Great pictures & great recipe. I don’t think the photos look the same at all. I’m very guilty of taking the same shot over and over and posting pictures that all look similar. 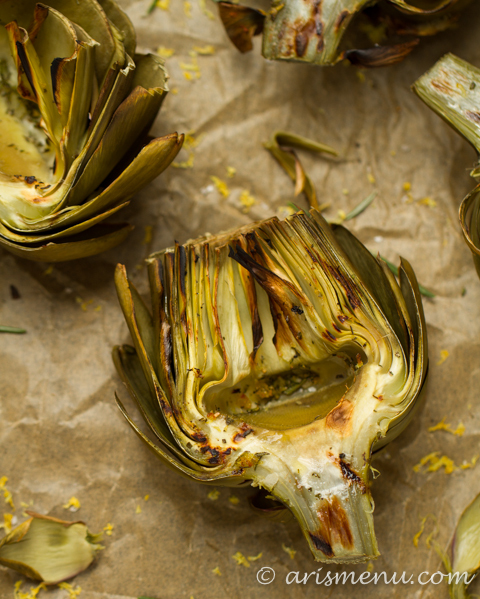 I have never ever grilled artichokes. Will have to put it on my bucket list because they look fabulous! I’m glad that you haven’t deleted by blog since I just discovered it. 🙂 The grilled artichokes must be delicious. Great photos and recipe! Never thought of doing rosemary with artichokes, it was so delicious! Thanks for sharing!